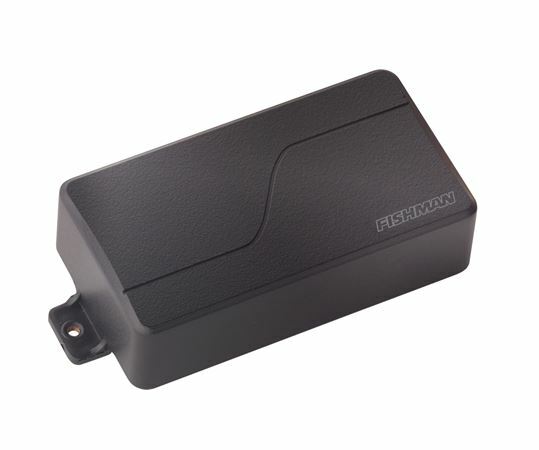 Shop Fishman Fluence Modern Humbucker Alnico Pickup from AMS with 0% Interest Payment Plans and Free Shipping. The first true multi-voice pickup with all the musicality of Alnico. Full chords and fluid solos, plus a voice you’ve never heard in a humbucker. Great in both positions, though commonly paired with Fishman’s ceramic bridge humbucker. Multi-Voice. Set and forget, or wire-up to toggle between two musically complimentary voices. Another example of the fresh thinking applied to Fluence is the way the power supply is stored and managed. Can you use a standard 9V battery? Yes. But where do you put it if your guitar doesn’t have a compartment? The Fluence battery packs (not included) require no modification and screw on to your guitar in place of the control or spring cover. They offer 200+ hours of playing time and fully charge in a few hours using a standard USB charger.